Smoked meats have for years been a favourite part of the Czech diet, and the varieties and producers are numerous. 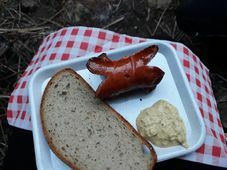 But if producers of cold meat in Slovakia have their way, Czech manufacturers of famous foodstuffs like "Lovecky salam" (a type of salami) and Spekacky (much-loved campfire sausages) could soon be facing a stark choice: change your methods, or change the names of your products. Slovak manufacturers, following new regulations on foodstuffs within the European Union, have sent an application to Brussels to have nine types of cold meat registered as traditional products of their nation. If approved, the motion could have a damaging impact on Czech agricultural produce. 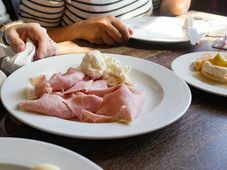 Czech Television has labeled the dispute a "diplomatic war" over sausages and other cold meats. 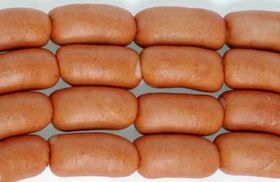 The Slovak application includes nine different types of common cold meats and sausage, and follows European Commission law 509, which was laid down in 2006. The law allows manufacturers from different countries to register products as so-called "traditional specialties". Once registered, any product employing the same brand name as such products will be forced to adhere strictly to the manufacturers' guidelines. Jan Katina is the director of the Czech Meat Processor's Association. The dispute, he says, stems from the splitting of the former Czechoslovakia in the early Nineties. "The problem is that after the fall of communism the common norms that were implemented here in the sector have fallen and both sectors in Slovakia and the Czech Republic went their own way, so there are slight differences in the recipes, and if those traditional specialties were, let's say, registered by the European Commission, then our producers would have to follow strictly the descriptions that are in the Slovakian application, and that would be a problem for our producers, because none of them would like to change their products to the specifications of Slovakians. We consider it as unfair competition or an attempt to impose an unfair trade barrier on Czech products, to prevent them being exported to the Slovakian market." The Slovak proposals have gone to the European Commission and are in discussion there. 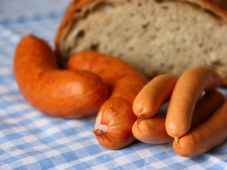 The Czech Meat Processor's Association is in close contact with the government and the food and drink chamber of the Czech Republic, and have prepared reports containing their objections for the European Commission. They must however wait until these objections are published in the official journal of the European Commission until they receive any answers. "We were trying to discuss this with our Slovakian colleagues before they sent the applications to Brussels but there was no real way to agree on the things. It was very difficult to negotiate because during the negotiates they didn't want to inform us about all the things they would like to put in the applications so it was more or less academic debate about those applications and moreover, there was one more product that was just prepared for sending to Brussels from the Slovaks and our Slovak colleagues decided not to tell us about it, which was regarded from our side as unfair procedure." The dispute will continue until the European Commission makes a decision on the matter. The Czech Agricultural Ministry will decide what steps to take once a decision has been reached.